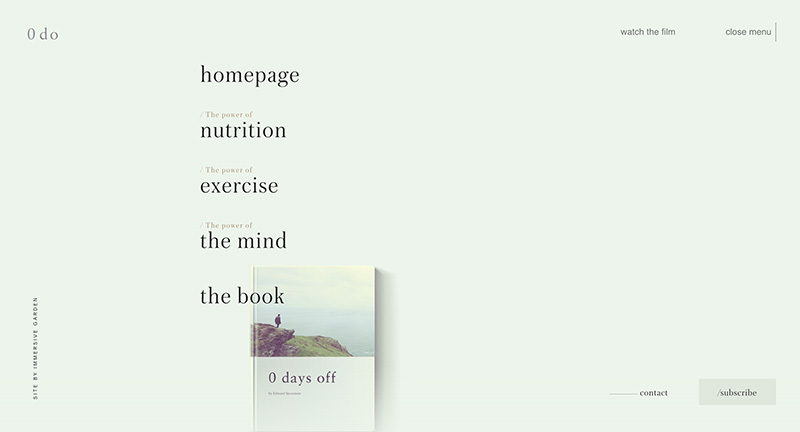 Site for book – Zero Days Off – best explained by the author “it is a true reflection of the life journey that I did not choose to take, but one that I now follow every day. 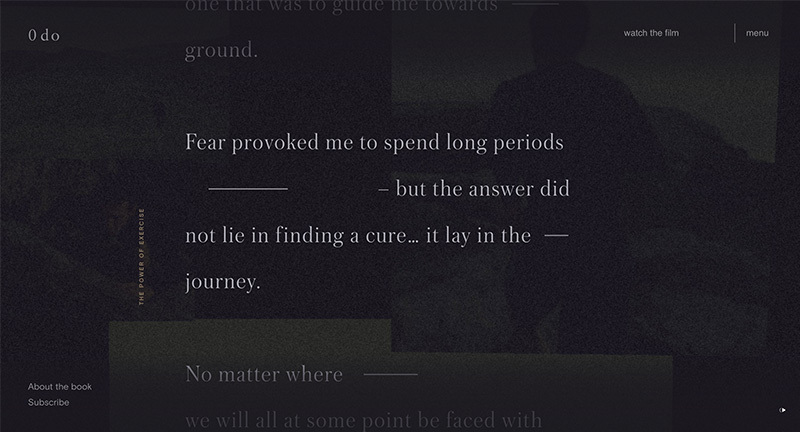 Although it is a story about my own fight, with what I can only describe as a rare undiagnosed digestive illness causing me continuous physical pain, it is also a story about progress and purpose.” A little contrived – but the site is lovely. Love the animated homescreen with elements responding to the scroll position. 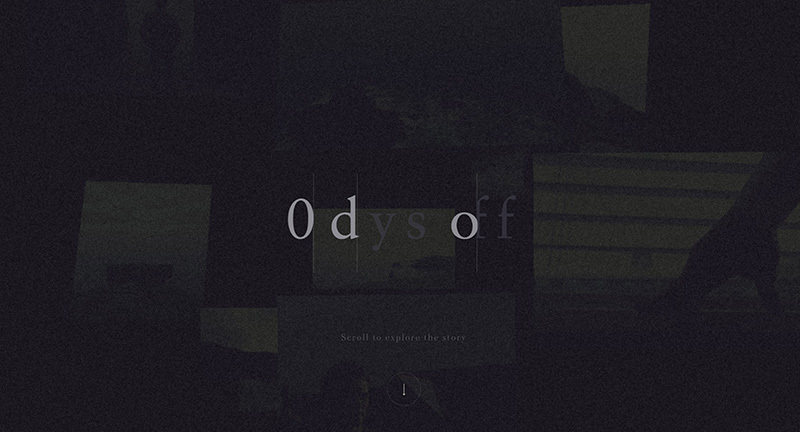 Lots of nice details, transitions, and animations. Created by Immersive Garden (@Immersive_g). 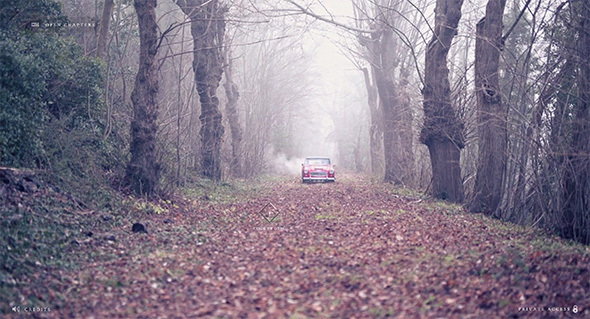 Lovely site for creative production agency Onirim. 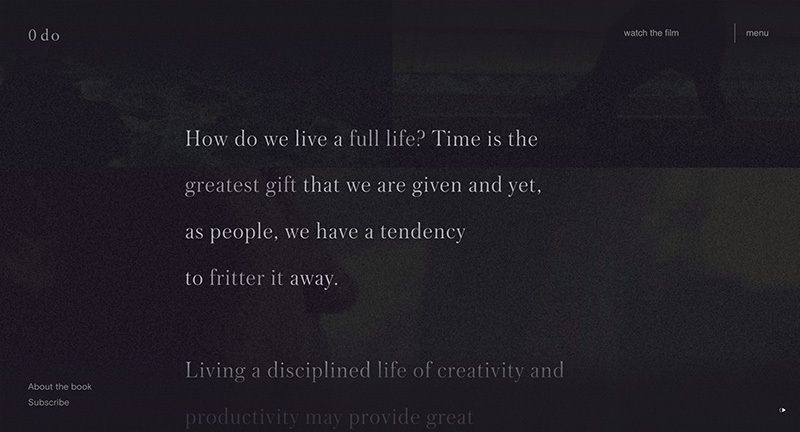 Lovely scrolling and masking transitions from section to section with bold typography and inline video. 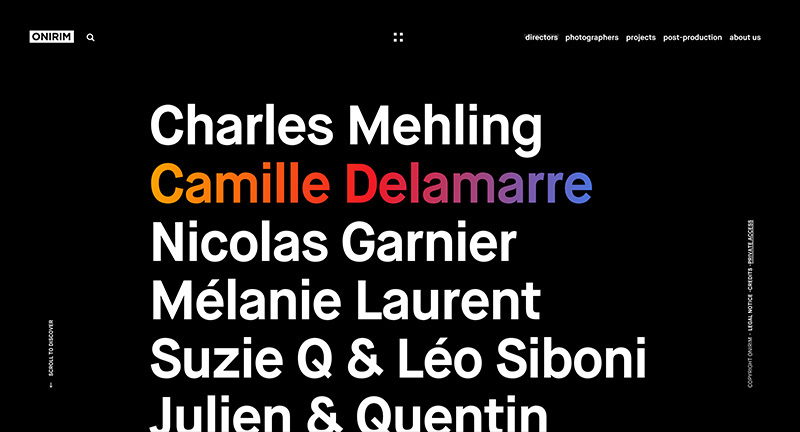 Beautifully designed, with nice attention to detail and lots of cool transitions and animations – love the directors/photographers page with colour hits on rollover which injects personality into a monotone design. 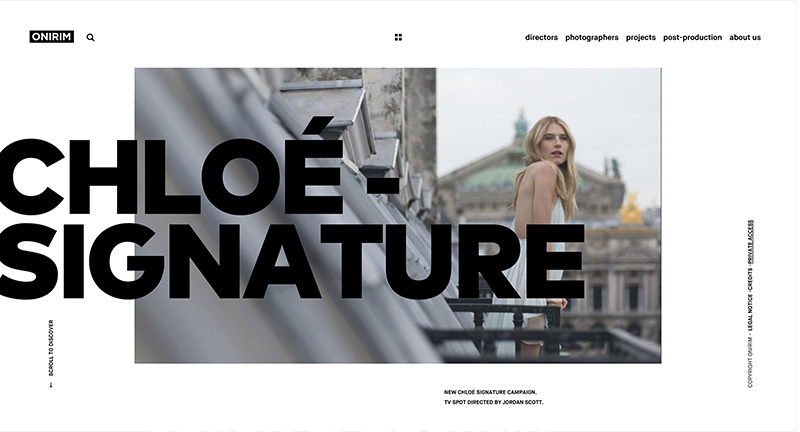 Great example of a modern, slick, and beautiful agency site. 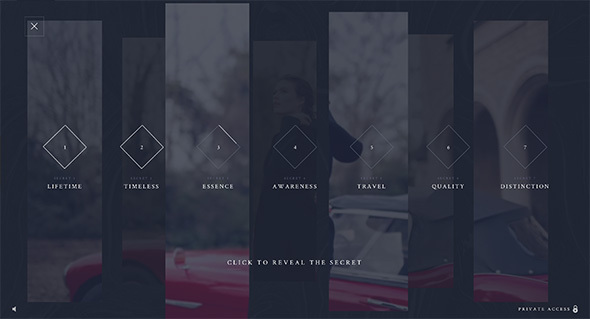 Promo site for fashion brand House of Borel. 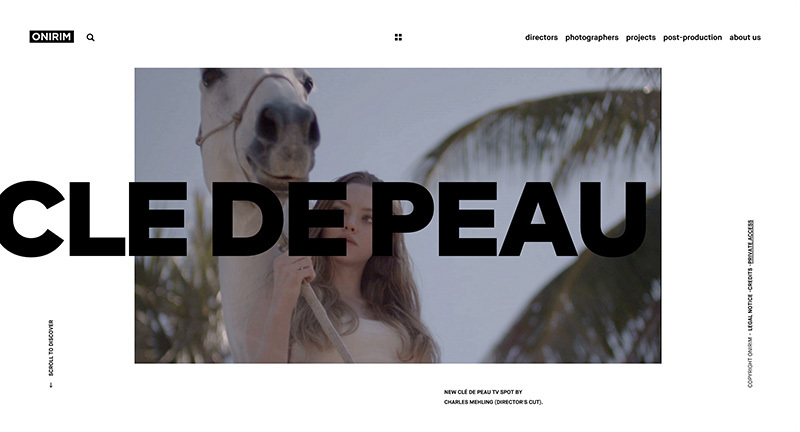 Featuring a mysterious video walkthrough of small details, clicking on each ‘chapter’ reveals a secret layer behind the video highlighting details about the brand and their range of leather goods. Beautifully crafted, with 3D elements, love the dragging mechanism to scroll through the video – very cool and looks fantastic. 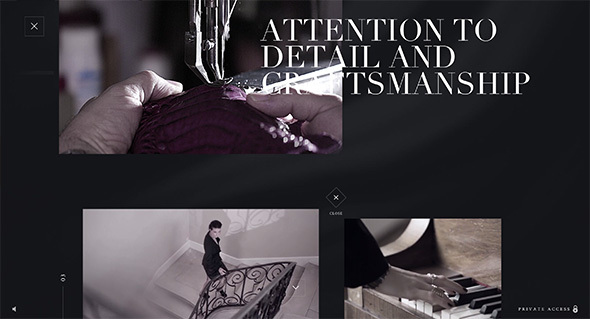 Loads of attention to detail, nice sound and music, and really like the layout in the detail pages, full of video, depth and nice content – it all looks and works really great – really well crafted. Created by blacknegative (@_blacknegative) and Immersive Garden (@Immersive_g).